The fear of the unknown on which technophobia is based can be helped and overcome through hypnosis. This is because anxiety, frustration and distress - all symptoms experienced by technophobes when confronted with some seemingly user-unfriendly technology - are negative thoughts and emotions which either lessen or eliminate the mind's ability to calmly absorb new information. By using hypnosis the mind and brain can learn to relax and let go of the negative thoughts and emotions which get in the way of your ability to learn and process new and unfamiliar information. Technophobia, especially at the more severe end of the spectrum, can be extremely life-limiting and can cause the loss of all kinds of opportunities. Can you remember the first time you looked at and tried to use a TV remote control? Either by closely following instructions on a set-up guide or by some degree of trial and error you figured out how to switch on/off, change channels, volume etc but the purposes of many of the other buttons remain a mystery. You overcame your initial discomfort with the device - because you had to otherwise no TV - to learn the basics but ignore the rest. The fact is that few people understand the purpose of every button on a TV remote control. The point is that you don't have to understand everything about a certain technology in order to be able to use it and benefit from it. Hardly anyone understands everything about exactly how any given devices work. You don't have to be a computer expert to know how to use one. One of the worst things about having a strong aversion to technology is that it makes you feel that you're being left behind and so makes you feel that you must be "stupid." Stupidity and being uncomfortable with technology are not linked. Some people, for example the Amish, are not "afraid" of technology but for religious and doctrinal reasons are consciously averse to it. Some sections of the environmentalist and libertarian movements also are not particularly keen on it either, or at least are not keen on expanding it further. However here we are looking at the psychological and emotional process that causes discomfort and frustration, even fear and anger, at the thought of trying to use a computer or, in some extreme cases a cellphone or even an ATM. The mind and brain begins to feel overwhelmed - and thus fearful - of the seemingly impenetrable array of functions, options, incomprehensible prompts and so on and starts to go into survival mode, thereby closing off your mind's ability to absorb new information. Negative thoughts take over and the subconscious begins to associate "technology" with discomfort and distress, and the thought process starts to become ingrained. Many, or at least some, of the older generation today were brought up in an age when technology was just beginning to reveal its true potential, and are reluctant to get involved with its more recent manifestations. For example does your grandfather or grandmother understand what the "cloud" is and how it works? Would it make any real difference to their lives if they did? Certainly at least not necessarily. Many of these older people don't feel any real need to immerse themselves in trying to figure out new technology and that's perfectly understandable but for people who are younger and still active socially and in their careers a basic understanding of and competence with technology is just about essential. If you're living with technophobia and appreciate the need for you to overcome it, then you must first understand that the fear is irrational (though many technophobes already do) but that more significantly both the problem and the solution exist within your own mind and that by using hypnosis the mind can be changed positively through relaxation and suggestion. 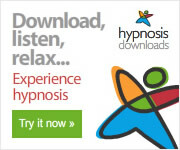 Follow the link below for details of an audio hypnosis download created specifically to deal with and overcome life-limiting and unnecessary fears about technology.